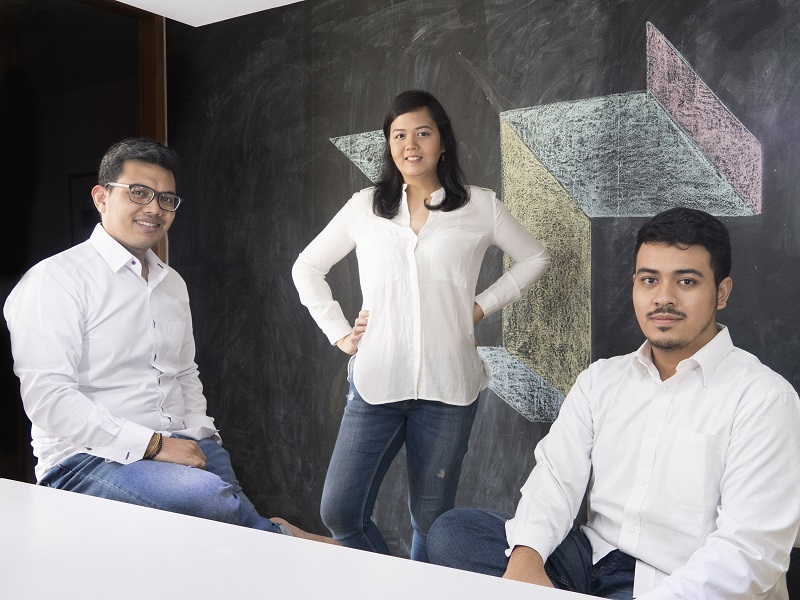 Three BINUS BUSINESS SCHOOL soon-to-be graduates, inspired by a competition, joined hands to develop TEMU, a for-profit digital blue-collar job marketplace, connecting the right skills with the best job opportunities, while helping to elevate slum dwellers from poverty. Here is the story of Co-Founders Maral Dipodiputro, lawyer, Gasim Alkaff, information technology expert, and Gustian Mahardika, digital marketer who learned about the Hult Prize, and sharpened their marketing, business management and entrepreneurial skills at the BINUS BUSINESS SCHOOL, where they also received dedicated guidance and advice in the development of their market relevant business concept. Hult Prize competition in 2015, organized by the Hult Prize Foundation (in partnership with HULT International Business School & Clinton Global Foundation), motivated the trio to create a business concept that allows them to earn while providing a sound solution to a real social problem. The team had to find a way to double the income of slum dwellers. They started with a 6 month research which illuminated that 90% of jobs in Indonesia are blue-collar. While the need for blue-collar workers is high, in urban slums of Jakarta, house of 22m2 is usually occupied by a family of 6 with only one person employed. The reason for high unemployment proved to be poor access to information on job vacancies. Since urban dwellers use smartphones for communication, the team decided to create an application connecting employers with the blue-collar workers. The team is proud to have provided access to job information to over 600 people living in urban slums and assisted in connecting dozens of people with the right job opportunities. At the moment, to spread their reach, the business is looking for additional capital and human resources. The team hopes to help slum dwellers not only in Jakarta, but also other parts of Indonesia and beyond. The ambitions plan until 2018 is to develop a fully automated job matchmaking engine, reach 10 000 job seekers and 7500 job providers. They are driven by the motto: “Do good to others, and else will follow,” and thankful to have found each other and received generous professional support from the BINUS BUSINESS SCHOOL along their way. Congratulations Maral, Gasim and Gustian on your graduation and TEMU!